Domestic Market Gold Silver seems to be on pressure despite of rapid growth in International Market. COMEX Gold 0.5% and Silver is gained 0.25%. NYMEX Crude oil nearly 1% and LME Copper have been strengthened by 0.5%. MCX Gold is trading flat around Rs 31 915. while silver has risen beyond Rs 64,500 with gain of 0.25%. MCX crude oil with gain of 0.5% is close to Rs 5,050. MCX base metals boom is seeing 0.2 to 0.6 %. copper is trading at Rs 454.10 with 0.4% up. 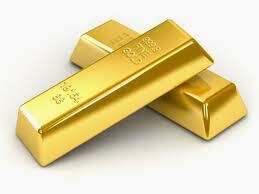 Gold October Futures Buy - 31 830, target – 32000, stoploss - 31 740. NCDEX Pepper September futures have risen to Rs 43,000 with gain of 1.5% . Mustard September futures is trading at Rs 4170. Soybean November futures Sell - 3525, stoploss – 3565, target – 3470.